Wow - can you believe that June is almost over already? Where has the year gone? 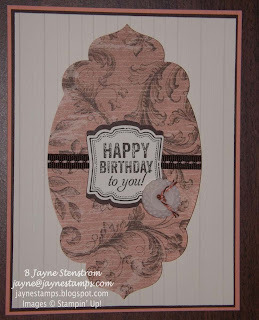 Today I have two cards that are made using the new Label Love stamp set with the coordinating Artisan Label punch and the Soho Subway Designer Series Paper. I love how different these cards look, even though they use the same basic elements. 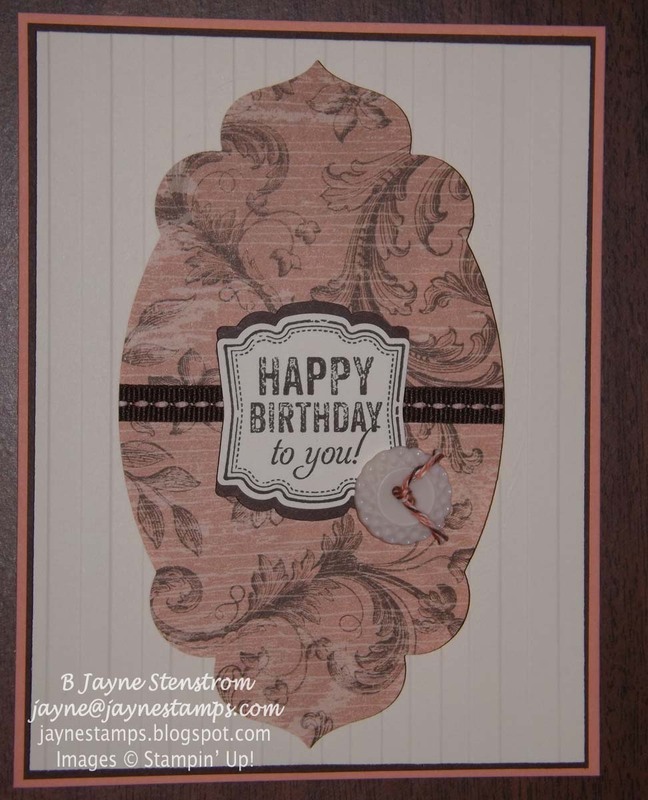 This first card was made by Cindy Westerink. The colors are Crisp Cantaloupe (a new In Color), Early Espresso, and Very Vanilla. She also used the Apothecary Accents framelits, Early Espresso 1/4" Stitched Grosgrain Ribbon (that she colored down the center just lightly with the Crisp Cantaloupe), Baker's Twine, and new Very Vintage Designer Buttons. Gorgeous card, isn't it? This card was one I made (CASE-d from somewhere). These colors are Summer Starfruit and Early Espresso. 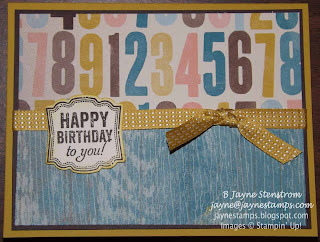 I also used the Summer Starfruit 3/8" Stitched Satin Ribbon and a sponge to add some color around the Happy Birthday. Two cards, one stamp set, and one package of DSP. And this is just a very small sampling of the variety you can create with this combination. Give it a try - and let me see what you come up with!